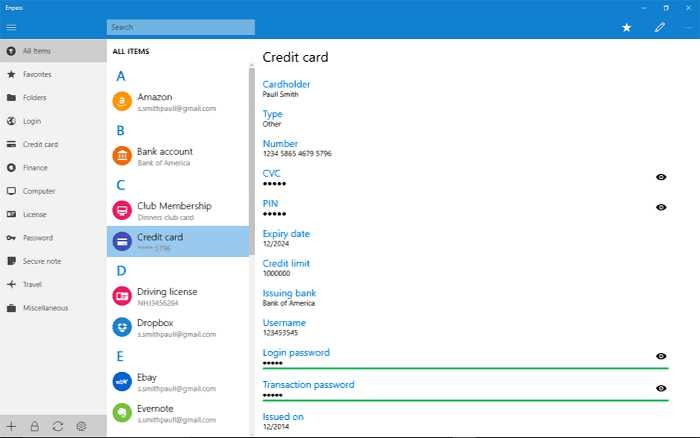 Enpass password manager gets Cortana integration with the latest update. You can now ask Cortana to search for specific items in Enpass manager. This update also includes selective field sharing. you’ll now be able to select specific fields and share what they contain rather than sharing an item’s full contents. Supports Cortana: Cortana now lets you interact with Enpass. You can now ask Cortana to “Open Facebook in Enpass”, “Search Twitter in Enpass” in your language. Selective Field Sharing: Added an option to let you choose fields while sharing an item. Autofilling in mobile devices: Team have improved it by supporting sites with single password field with an option to auto-submit after filling the details. After unlocking the keychain in desktops, the default focus will now be on the search box to let you search immediately. Syncing with WebDAV: Some security fixes have been placed. Enpass will now show a sync warning message to those users who have configured their WebDAV/ownCloud server using self-signed certificate, and they have to disconnect and setup sync again. Fixes an issue in desktops where the selection of item was not changed to newly added or edited item and the older selection was preserved. There was an issue of search box getting cleared while syncing in background. Fixed. You can download the latest update from the Windows Store now or from the link below.